The game’s makers, Rockstar Games, has announced a February 2014 Grand Theft Auto 5 release date for PC which means there are still a few months to wait for an official game but gamers shouldn’t be tempted to download illegal versions of the game while they wait for the new year. PC gamers tempted to search the web for a free version of the new game might find themselves downloading malware rather than the latest incarnation of the hit video game. The torrent named “GTA V Full PC Game + Crack” has been spotted on illegal download sites as a 18GB file. Unfortunately for cash strapped gamers, Site metrics and Seed Ratios reveal that thousands of downloads have already taken place. The malware is a realistic 18GB file with a setup.exe file that works so users have no idea there’s anything malicious with the download. The file looks pretty legit, even to seasoned users as it’s a verified, unreported torrent and has a very high SEO ranking. Once you’ve downloaded the file and run it, the malware asks users to complete surveys. 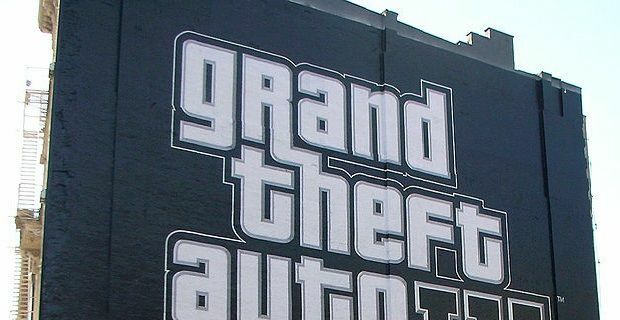 Although it’s very authentic looking, most users with a little common sense should be able to spot it, but with close to a $1billion of sales across the five games, GTA is a phenomenon that defies logic and an addiction that gamers can’t wait to satisfy, so perhaps gamers are blinded by the tell-tale signs that this is malware. The new Grand Theft Auto game is already available for X-Box and Playstation consules, which account for the majority of its sales, but there are still a few months to wait until the new GTA game is available on PC. With that in mind, the best and most basic advice with any download like this is that if the game’s not yet available for your format, then you will have to wait.